I hesitated whether to add this one to the Design category. The site was built (very well!) in static HTML a few years ago and still functioned perfectly, but it didn’t reflect a recent update to the brand. 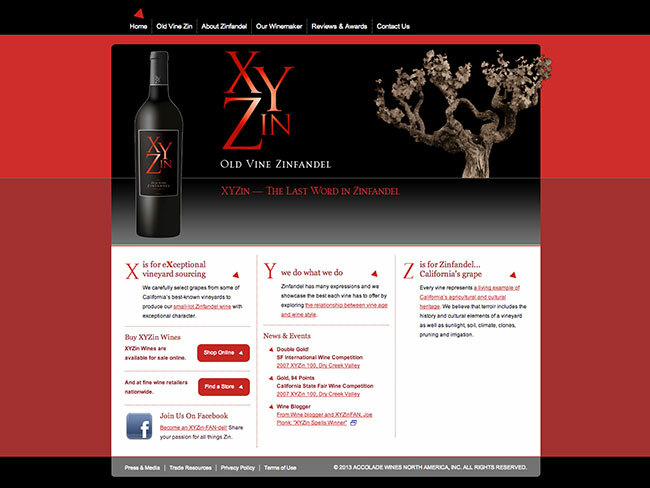 The client wanted to keep the layout and much of the imagery, but I selected a new color scheme and updated fonts to match the new image of XYZin Wines. This is a perfect example of how not everything needs to employ a CMS (content management system) — sometimes plain HTML gets the job done. Upgrades aren’t needed as frequently and security issues are lessened considerably.